It’s time to celebrate! Pastor Dave and Susie Edler have faithfully led Yakima Foursquare Church over the past 24 years. Pastor Dave is continuing in his role as senior pastor of our Network of Churches, while Pastor Jacob & Pastor Chantal move into the lead pastor role at Yakima Foursquare Church. 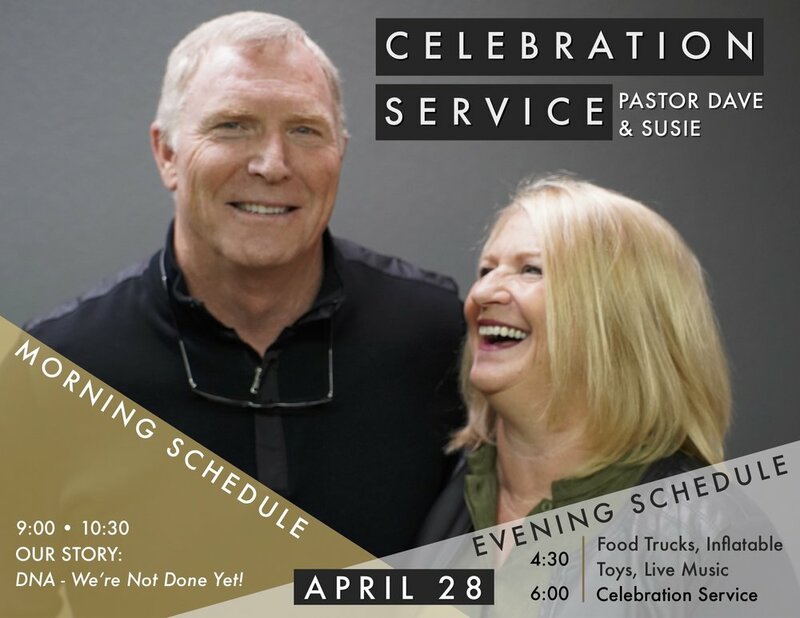 Please join us on Sunday, April 28, as we show our appreciation and celebrate all that God has done through Dave & Susie! In an attempt to estimate how many people will be attending, please fill out the form below to let us know you’ll be there! Thank you for your RSVP. We look forward to celebrating with you!